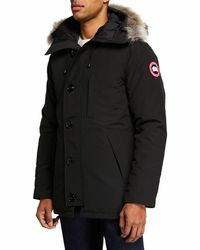 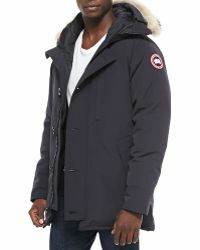 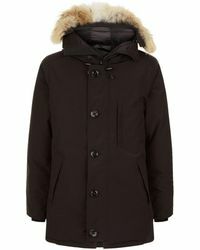 When the temperature starts to drop there's only one coat that'll make the cut - the Canada Goose Chateau. 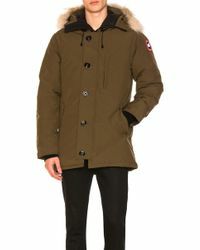 Waterproof, fully lined and filled with super-soft down, the Chateau coat is as warm as it is stylish. 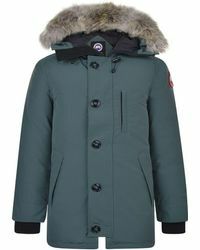 Keep the rain off your do with the detachable coyote fur-lined hood and pick your favorite from the range of colored styles for a look you'll pull out at every opportunity. 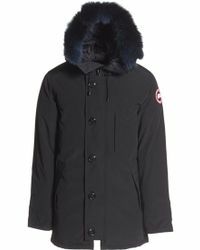 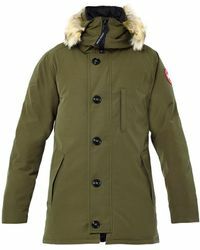 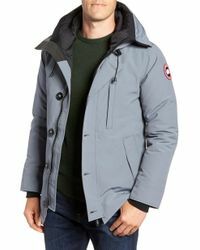 Finished with Canada Goose emblem on the arm, layer yours over all your favorite outfits this season.